I cut up my toes on a rock while snorkeling at the beach today, so instead of our usual badminton match at sunset I made a fancy dinner. 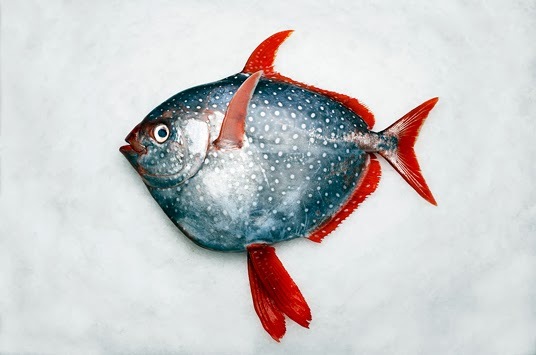 The local market had freshly caught opah, or moonfish, belly for sale. That is one cheery looking fish! The opah steak was too good to broil, so I decided to make a Japanese tataki dish served with spicy cucumber handrolls on the side. Our hostess, Haley, has an inspiring selection of asian spices and sauces on stock in her kitchen. 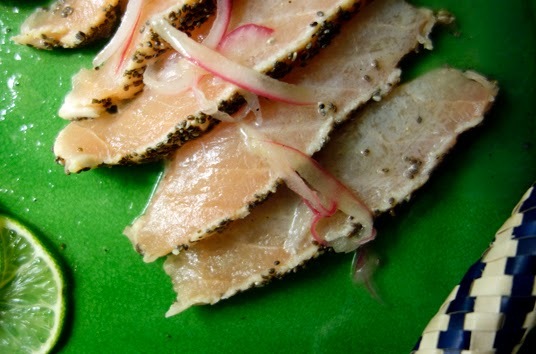 Turn the fish so that the seared/chia seed side is face down on the cutting board and cut it into thin slices with a sharp knife. Flipping it over makes it easier to keep that seared top in one piece while you cut. 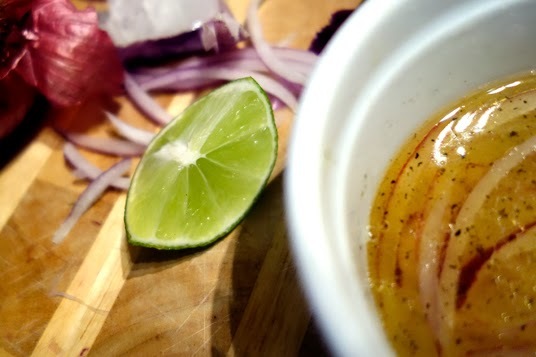 Top the fish with your vinaigrette immediately before serving. 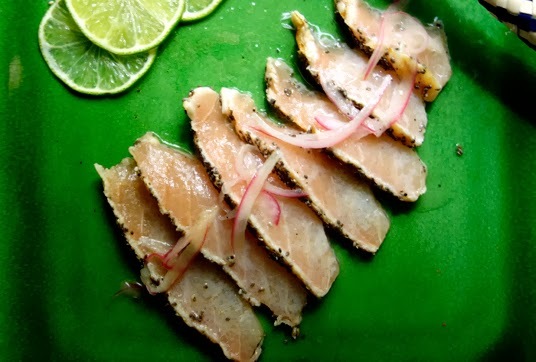 The lime and vinegar acids will start to “cook” the fish which changes the appearance of your fresh slices if you let them sit. 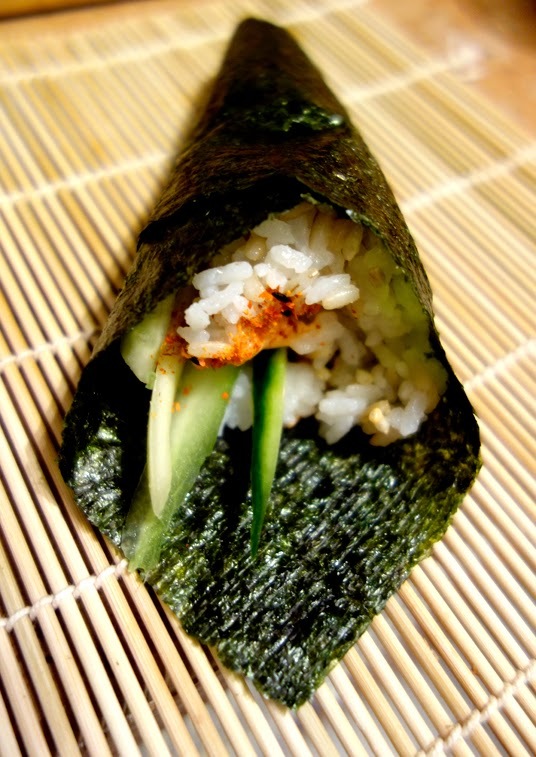 For the handrolls, I used sheets of nori, sushi rice, thin slices of cucumber and a spicy sriracha mayonnaise. Plus, a dash of schichimi togarashi on top for color. Wow. I guess Rob didn't miss badminton with this being offered instead. I'm getting hungry reading this.